Nyonya Colors specializes in premium homemade quality Nyonya Kueh and delights. We aim to provide customers with the highest quality and tasty Nyonya Kueh. Many of our loyal customers would attest that our products bear the great authentic taste of the past. Almost all our Nyonya Kueh, desserts and meals are produced in our central kitchen so that we are able to achieve consistency in taste and good quality control. Only the best and freshest ingredients are used to make our products. As we do not use preservatives, we advise customers to consume the products within the day of purchase to ensure there is no impairment in taste and texture. 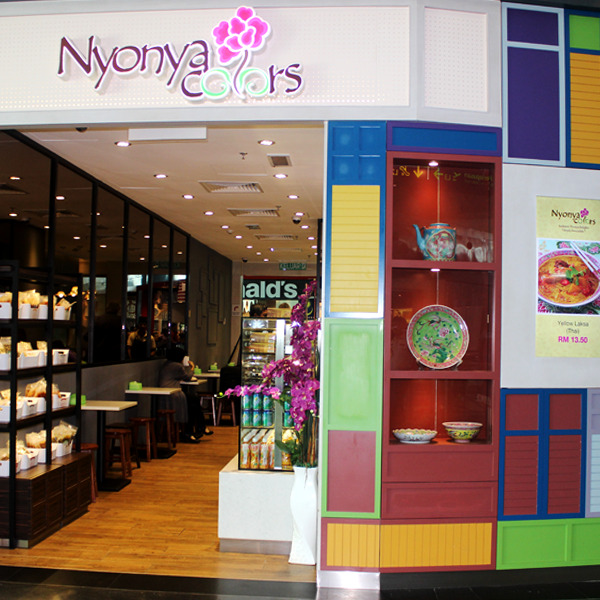 Nyonya Colors' flagship outlet is located at FK106, first floor of 1Utama Shopping Complex (Old Wing), where customers can enjoy a great variety of Nyonya Kueh, light meals and desserts.